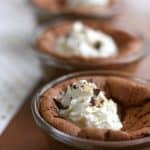 This baked chocolate pudding recipe is one of my faves because it is rich and simple to put together, and is made from ingredients you likely already have! Valentine’s Day may be over but I say that doesn’t mean we shouldn’t have more chocolate! I mean, it is a Monday, after all, and that excuse is good enough for me! 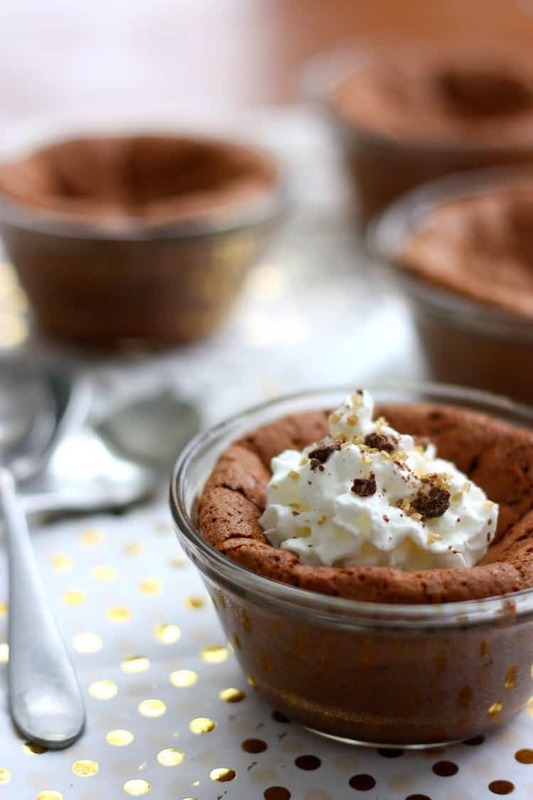 So, today I thought I would share one of my favorite go-to chocolate recipes with you. 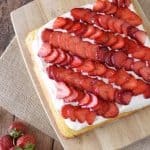 It is one of my faves because it is rich and decadent while being beyond simple to put together, and is made from ingredients you probably already have in your pantry! 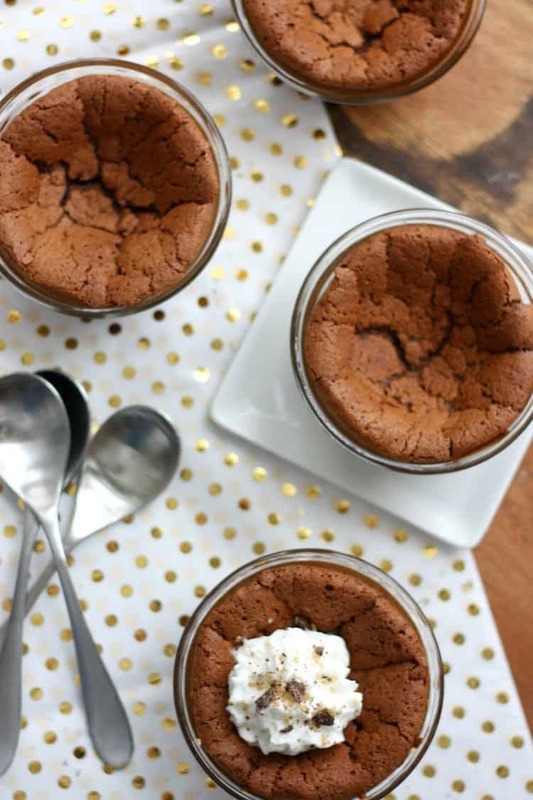 We call them baked puddings at our house, and they are so gooey you’ll have to agree the name fits. 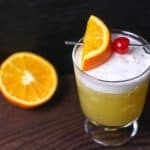 Here’s how you make them! 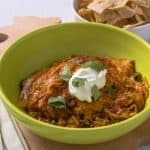 Place four 6- to 8-ounce ovenproof bowls on a baking sheet. Set aside. 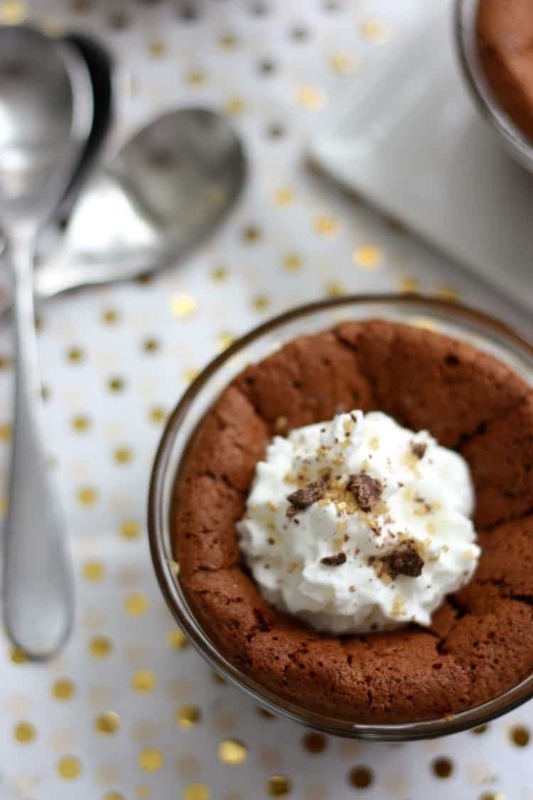 Place chocolate and butter in a medium microwave safe bowl and cook in microwave at 30 second intervals (stirring after each interval) until just melted. Mix in 2 tablespoons sugar, then egg yolks and vanilla. Set aside. In a medium bowl, with an electric mixer, beat egg whites and salt until soft peaks form. Still beating, gradually add remaining 2 tablespoons sugar; beat until mixture is stiff and glossy. 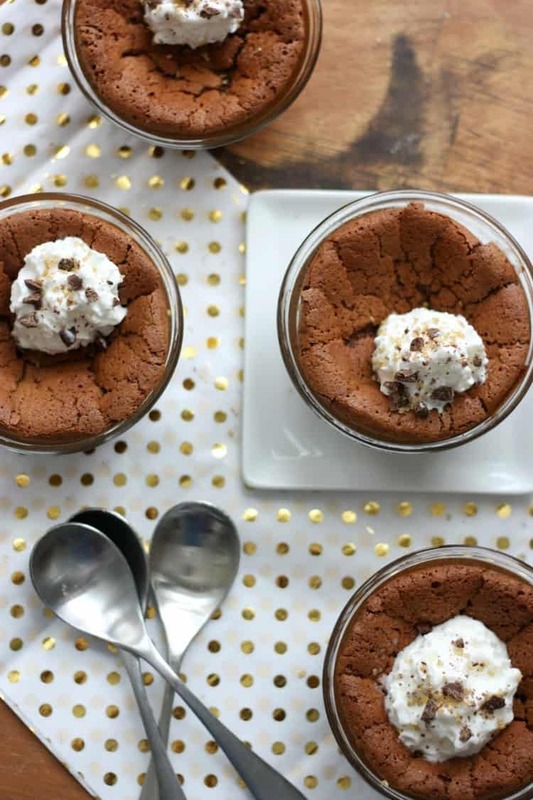 Bake until tops are puffed and cracked but insides are still quite soft (a toothpick inserted in center will come out gooey), 20 to 25 minutes, or 25 to 30 minutes if puddings were previously refrigerated. 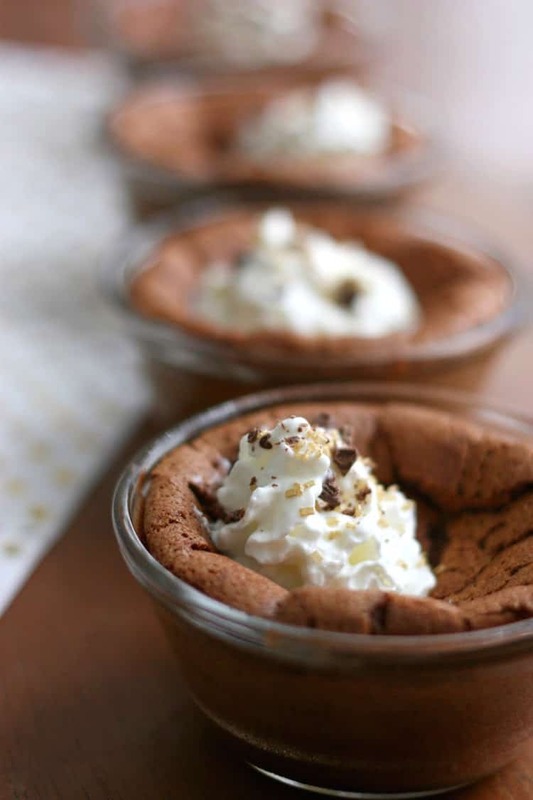 Serve, warm or at room temperature (puddings may sink as they cool), topped with ice cream or whipped cream, if desired. Nutrition information does not include whipped cream or ice cream for serving, as it is optional. Happy baking and even happier eating, friends! And be sure to come and visit my sister and me as we blog about style, food, and the things we love over at The Pretty Life Girls. 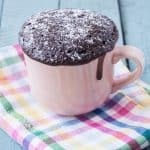 How to Make a Mug Cake – Plus 20 Recipes!